Treo Group has signed a deal to connect their proposed Somi Station project to county water and sewer lines. 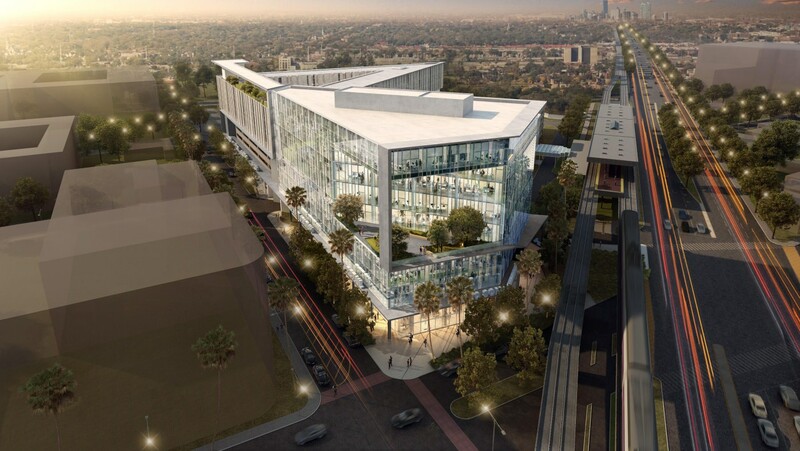 The mixed-use project will be built above and adjacent to the parking garage at the South Miami Metrorail Station. The agreement was completed this week. Treo bought out a long-term lease of county land where the project is proposed in 2016. Perkins + Will is the architect. According to the architect’s website, the office space will house business incubators and small startups. The existing garage will be converted to house amenities, with student housing to be built above the garage. The new office and retail structure will be built on adjacent land. 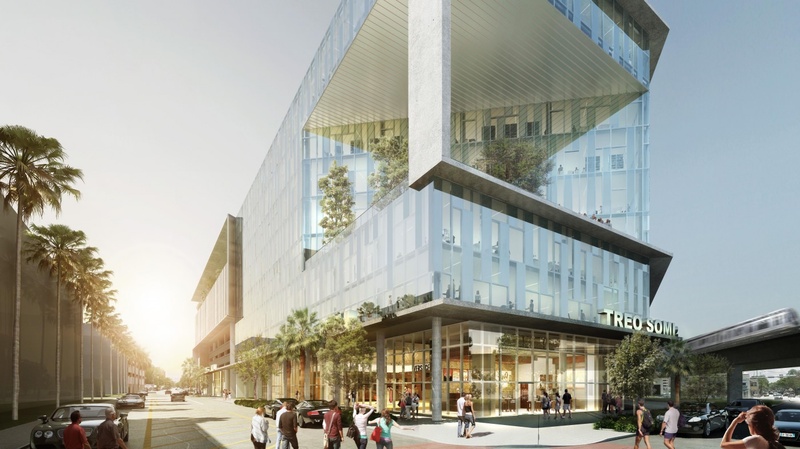 The developer will revitalize the area underneath the Metrorail by adding restaurants, gardens and recreational opportunities for the community, the architect says. Cool. And it looks like they are building no additional parking. Much nicer area than Jorge Mas’ freedom park for startups. They both want to attract tech startups. People love using startups for buzz, but it will probably be closer to small businesses. Funded startups that can afford this rent are few and far between — usually found in the tech hubs. Seriously. 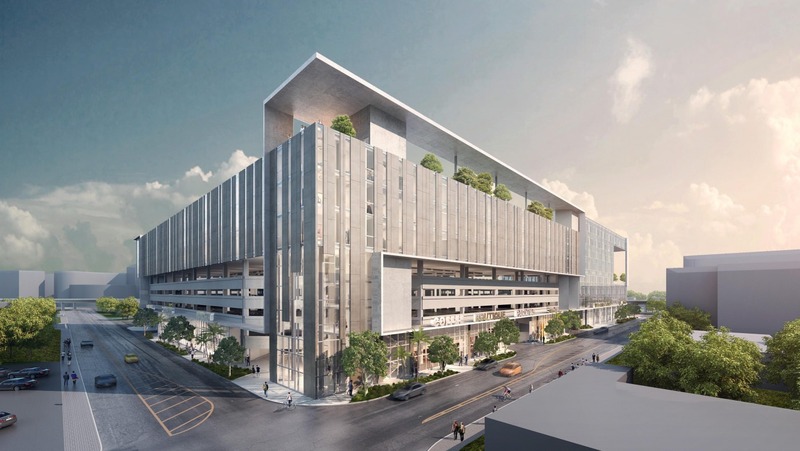 No startup is going to Jorge Mas’ empty park surrounded by runways and motels over this – a brand new building in a quasi business/retail district, surrounded by good housing options and top talent at UM. And closer to public transportation as well. Now if only we could tame US 1, make it less of a war zone for pedestrians. Eventually, we’ll demand it. “”99 Apartments” — Why not 100? Haha, I hate odd numbers ? Heck, it’s next to a Metorail stop, why not at least 300 apartments? Office space generates more transit riders per square foot than residential. I like the mix of both! A renovated and expanded Sunset Place would compliment this building well. If only they can get the project passed. No accommodation for pedestrians wanting to cross US-1? Of course it has to drop. Even Mass Transit here is built for the automobile not pedestrian friendly. Who the hell is going to cross US1 be diverted half a mile to ride Metrorail? No accommodation for pedestrians seeking to cross US-1? That’s the problem with Miami, these politicians are always forcing developers to get dinky with projects in certain areas because they are so afraid of how residents may react. I use this station regularly. About half of the parking spaces have been removed. Parking overflowed for a long time after the removal of 1/2 of the parking spaces. Later, people did not like to have to park in the top floor which was exposed to the elements. Demand for metro rail at this station has dropped a lot. How have they been/were they removed? They’re still there but it’s blocked off. I wonder if the “french fries” sculpture will be taken down again. I feel bad for the artist. I read that it was taken down before and stored in piled up in some county yard in Medley. This was purchased through the Art in Public Places fund. Oh look, another ugly, cheap, and nasty barcode-like window facade that looks like a jail. Make it all glass, and/or orderly. Clearly some people like it or they would keep designing buildings that way.